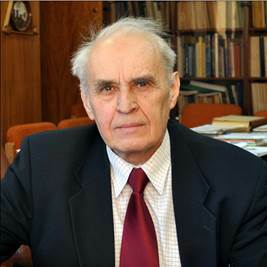 It is with the greatest sadness that we write to announce that Professor Evgueny Mikhailovich DIANOV, a prominent scientist in the field of fiber optics, laser physics, and optical materials, the founder of the Fiber Optics Research Center of the Russian Academy of Sciences (FORC), its long-time Director and Scientific Leader, passed away on January 30th, 2019. Prof. Dianov’s name is widely known among specialists all over the world for his outstanding scientific achievements in various areas of fiber optics. All his life was a great example of unselfish service to Science. He was an exemplary academic citizen, and an outstanding researcher, and a kind of person who made a difference. His selfless commitment and dedication to quantum electronics and fiber optics has been recognized by numerous awards such as the State Prize of the USSR in the field of Science and Technology (1974), the State Prize of the Russian Federation in the field of Science and Technology (1998), and John Tyndall Award (2017). Evgueny M. Dianov was born into a teachers’ family in the Tula Region (Russia) on January 31th, 1936. He graduated from Moscow State University in 1960 to join the P.N.Lebedev Physical Institute (FIAN) of the Academy of Sciences of the USSR, the laboratory headed by Alexander Prokhorov, a Nobel Prize Winner in Physics, one of the inventors of laser. His first significant project was in the development of optical glasses for high energy flash-lamp pumped solid state lasers. Not only did he successfully accomplish this task but the results were so impressive that the team led by Professor Dianov was recognized with the highest state award – The State Prize of the USSR. On the back of this success, in 1973 Evgueny Dianov was tasked with a project which ultimately has become the project of his life – to pioneer research into fiber optics. In 1973, fiber optics technology was in its infancy but over the past four decades, this area of quantum electronics has become a basis for telecommunications, as well as photonic source and sensor technologies. Professor Dianov’s involvement in fiber-optic technology research has spanned these four decades, making a great contribution to its success. Establishing a research group into fiber optics technology was an enormous task if one takes into account lack of readily available raw materials and clear understanding of what was required to make a low-loss silica optical fibers. This was aggravated by the effective isolation of the former Soviet Union from the international scientific community – it was the mid-seventies and height of the cold war. Despite these adversary conditions, Evgueny Dianov managed to unite several research centers across the Soviet Union to develop purified materials and hardware to produce fiber preforms and fibers as well as the methods and equipment to characterize optical fibers. Within a year (1974), the first Russian-made low-loss optical fiber had been produced at the research institute in Nizhnii Novgorod (Institute of Chemistry of the Academy of Sciences of the USSR), which later became a long standing partner of Professor Dianov’s laboratory, known today as the Fiber Optics Research Center of the Russian Academy of Sciences (FORC). Later, record super-high-strength metal-coated, hermetically carbon-coated, active, radiation-resistant, heavily phosphorus- and aluminum-doped silica fibers, chalcogenide and polycrystalline fibers for the mid-IR range, micro-structured, photonic-crystal, and original hollow-core revolver fibers were developed at FORC under Prof. E.M. Dianov’s leadership, many of these fiber types being unique or superior to their foreign counterparts. The cutting-edge research performed at FORC virtually constituted the state-of-the-art of the fiber-optic science. Evgueny Dianov’s scientific excellence, personality and insatiable desire to succeed have attracted many young and ambitious researchers, and in the late-eighties his laboratory had transformed to a world’s leader in nonlinear fiber optics, generating a number of scientific discoveries, which today have application within optical fiber communication and photonic source technology. Dianov’s team has made profound contribution into numerous areas of nonlinear phenomena in optical fibers, among which ultra-short pulse fiber lasers and optical soliton generators, discovery of soliton carrier frequency shift due to stimulated Rayleigh scattering (SRS) in the course of its propagation (this effect was called stimulated Raman self-scattering (SRSS), realization of a method for the formation of a sequence of fundamental solitons with a high repetition rate (tens and hundreds of GHz), theoretical description of soliton interaction via the electrostriction effect, which has been confirmed by scientists worldwide. Prof. Dianov practically realized cost-effective and highly efficient fiber Raman lasers and amplifiers based on heavily doped phosphosilicate optical fibers. These devices cover a spectral range 1.1-2.2 µm, their pump wavelength being ~ 1 µm. Prof. E.M. Dianov with co-workers was the first to propose a photogalvanic mechanism to explain the effect of second harmonic generation in optical fibers. By using highly nonlinear microstructured fibers with an ultra-small mode area, Prof. Dianov’s team in collaboration with an end-product company developed all-fiber supercontinuum generators with the output spectrum stretching from the ‘blue’ to the near-infrared region. The device is now widely used in scientific laboratories all over the world. His last scientific and technological achievement was the development and investigation of bismuth-doped fibers – novel type of active fibers to be used as fiber lasers and amplifiers in a wide spectral region from 1.15 through 1.8 µm. Further improvement and subsequent application of the novel fiber amplifiers is expected to expand the available spectral range for optical communication and thereby significantly enhance its information capacity. However, the most important accomplishment of Professor Dianov’s professional activity has undoubtedly been the formation of a unique scientific school which has produced 20 professors and more than 70 PhDs. The alumni of this school currently hold key positions at leading universities around the world and top managerial positions at the world leading companies such as Lucent, Tyco, Oclaro, Coherent and others. A number of his past students have gone on to establish high tech companies of their own. Professor Dianov’s extraordinary organizational skills, his passion for photonics, his energy and enthusiasm have gained him respect amongst fellow researchers, and in 1994 he was elected a Full Member of the Russian Academy of Sciences. In 2002-2013 he was a Member of the Presidium of the Russian Academy of Sciences, the governing body of the Academy. Since the FORC establishment in 1993 and until 2015, Prof. Dianov has been its Director; later, the FORC Scientific Leader. He was a Life Member of the Institute of Electrical and Electronics Engineers (IEEE), a Fellow of OSA, a Member of the American Ceramic Society, and a Member of the Materials Research Society. Web of Science Core Collection contains over 1000 articles authored by E.M. Dianov, which are much cited; his Hirsch index amounting to 48. The death of Evgueny Mikhailovich Dianov is grievous loss to his colleagues, students, the staff of the Fiber Optics Research Center of the Russian Academy of Sciences, to the Science he devoted his life to. His cherished memory will live with us always. Fiber Optics Research Center of the Russian Academy of Sciences (FORC RAS) carries out fundamental and applied research on a variety of problems of modern fiber optics. FORC is the principal research center in this field in Russia and is recognized as one of the world's leaders. FORC was founded in 1993 on the basis of the Fiber Optics Department of the General Physics Institute. At present, FORC has a status of an independent research establishment of the Russian Academy of Sciences, retaining close scientific liaisons with the General Physics Institute. Scientific Director of FORC is Professor Evgueni M. Dianov, who is a Full Member of the Russian Academy of Sciences. Acting Director – Sergey L. Semjonov. FORC has over 90 employees, about 50 of whom are scientists and engineers. 29 scientists are PhD's. Approximately 10-15 pre- and post-graduate students are also involved in the research. FORC occupies a five-floored building in Moscow with 5,880 square meters laboratory facility. FORC possesses standard and unique equipment for fabrication, characterization, and investigation of optical fibers; in particular, MCVD, SPCVD, and POD installations for fabrication of optical fiber preforms, two fiber drawing towers, an extrusion set-up for fabrication of crystalline IR fibers, a set-up for growing nonlinear crystals, over two dozens of gas and solid-state lasers (HeNe, Ar, excimer, N2,Ti:Al2O3, Nd:YAG,HeCd and others), set-ups for inscription of in-fiber refractive index gratings, a Raman spectrograph, Fourier and multi-range UV/VIS/NIR spectrometers, high-performance spectrum analyzers and many other devices (see also 'Laboratories and Research Activities'). FORC has wide experience in cooperation with end-product companies and research establishments throughout the world. Geography of FORC's cooperation is steadily expanding. development of nitrogen-doped silica fibers, low-loss chalcogenide and polycrystalline fibers for the IR region, and low-loss phosphorus-doped silica fibers for Raman lasers and amplifiers. growth and investigation of nonlinear crystals.